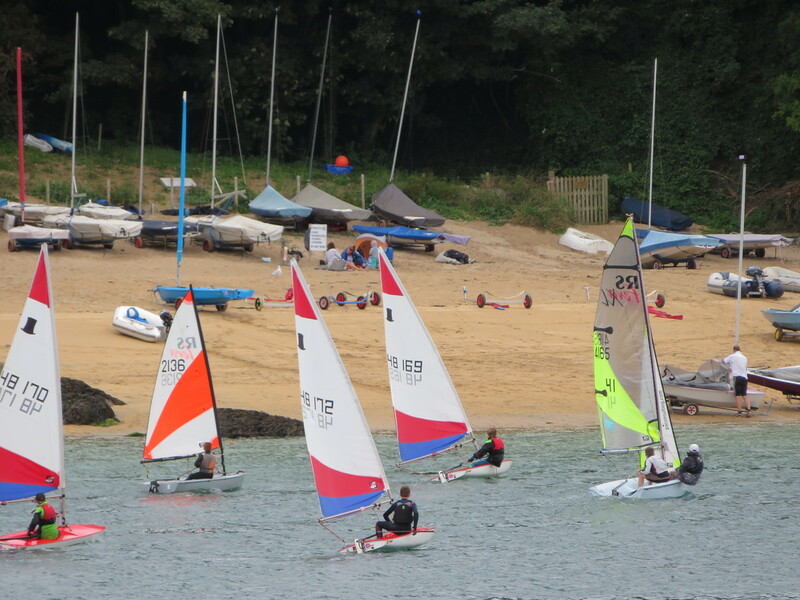 With the departure of many holiday makers, Salcombe sailors were able to enjoy an estuary to themselves with good racing in an autumnal force 2-3 wind blowing down the estuary. 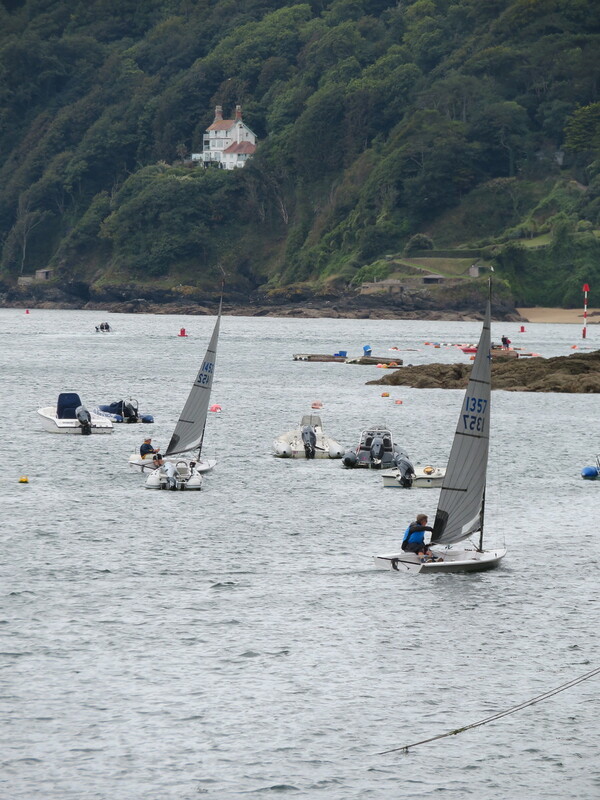 The slightly stronger wind than the previous weeks racing required concerted short tacking to stem the flooding tide towards the first mark at Blackstone and with no fairway in operation, it was decision time as to whether to start on the Portlemouth or Salcombe side of the estuary. The race order at Blackstone was a defining stage for nearly all the classes, as after that, a long run with the tide through the Bag to Gerston, spread the fleets with only a final loop in the estuary offering real options for significant place changes. For many decades the mainstay of Salcombe estuary sailboat racing has been the Salcombe Yawl and these magnificent 18 foot wooden clinker built boats are “Salcombe Treasures” that need to nurtured as it is unlikely that any more will be built. In the winter most Yawls hibernate to various local barns however a small group continue into the Autumn and Winter Sailing Series and on this occasion it was Tristrum Stone in Yawl 160 who secured a win over the Savills Yawl, number 187 which was the most recent Mk4 Morrison Yawl to have been built. 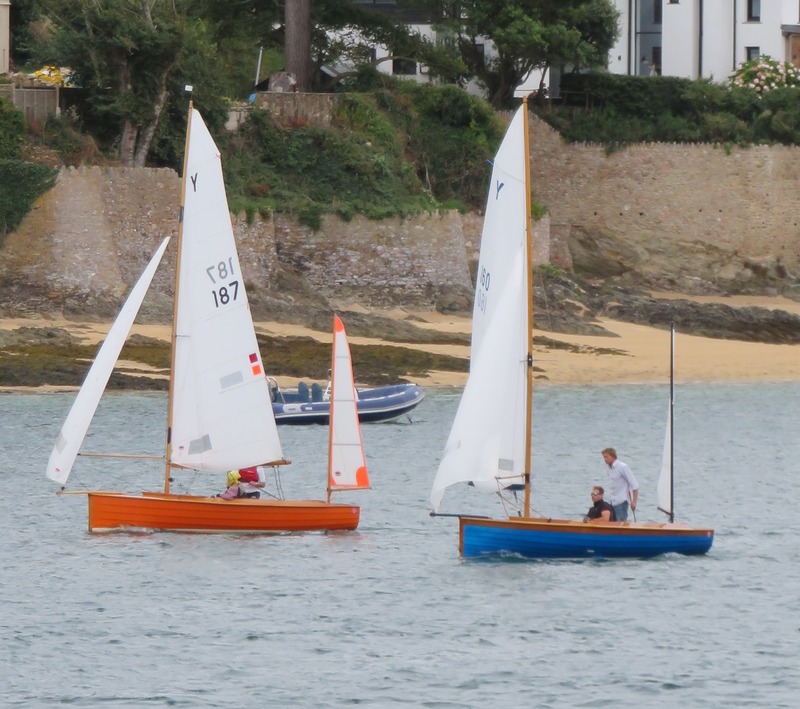 Another stalwart in the dinghy racing history of the club is the Solo class and these little Jack Holt designed single handers, now made from high tech materials, still provide a very high standard of competitive, close and exciting racing in the estuary. Ed Stephens and Simon Dobson are currently two of the leading Solo sailors and by virtue of sailing a dominant first leg to the Blackstone mark, Stephens secured a leading position and subsequently stretched out his lead from Dobson with David Greening securing a strong third position. 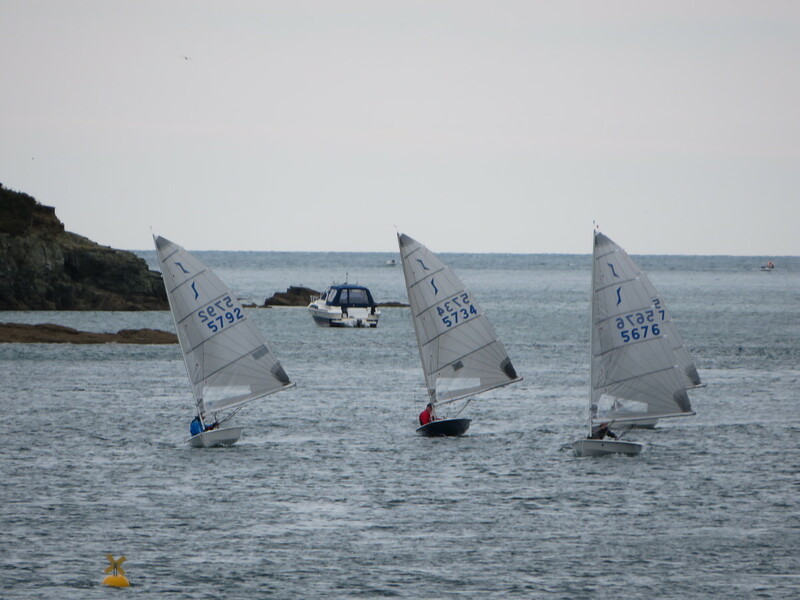 The mixed bag of classes in both the medium and fast handicap fleets perhaps provide future class racing fleets for the estuary; however it is still the “Classic” wooden Firefly of Peter Cook and Janet Exelby who at present consistently on handicap see off the growing fleets of Lasers and Areos. In the fast handicap fleet, Paul Ellis in his Phantom is proving very hard to beat although Charlie and Helen Lloyd are currently sailing their N12 beautifully and managed to split the Phantoms on corrected time between Ellis and Chris Cleaves. Whilst some brave sailors did choose the Salcombe shore to stem the tide to Blackstone it was on this occasion the Portlemouth shore sailors that won the day in all of the different class starts. The real long term future of sailing in the estuary relies on the Junior Fleet and here there was a fantastic battle between three well matched Toppers throughout a 1.5hr race where in the end it was Louis Tollins who won by a short head from Dom Holt Wilson.